The Prince of Talleyrand, minister of Napoleon Bonaparte, had had good fortune to be the owner of this residence. The chateau of Valençay is one of the most beautiful witnesses of the French Renaissance. 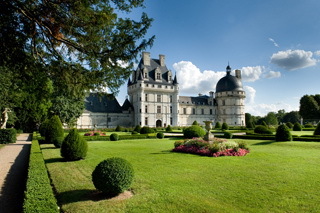 Listed today as an Historic Monument, it has preserved its period furnishings, theatre estate grounds and gardens to remain, despite the passage of centuries, one of the most sumptuous chateaux of the Loire Valley.